Love is in the air and in the virtual world it literally is. 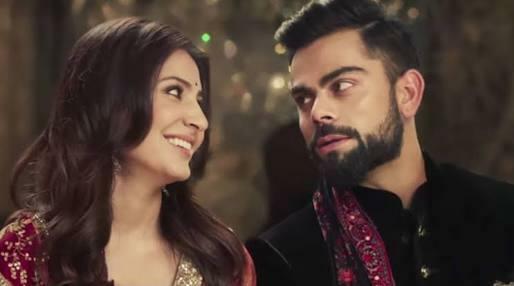 All thanks to Hashtag Virushka ( #Virushka) or Virat Kohli and Anushka Sharma. For they have been setting couple goals for a long time now. And now that the couple is married every picture/ video from their marriage is simply adorable as it speaks nothing but happiness. Beauty certainly lies in the eye of the beholder. When he looks at her, the way he does, we are sure she finds it hard to breath. And when we look at him, looking at her with so much love, appreciation, and adoration, our heart melts, we go weak in the knees and all we can say is Awwwww. Like they say, every girl deserves a guy who looks at her everyday like it’s the first time he saw her. Looking at a few of these pictures we can say that Anushka Sharma has certainly found that person. 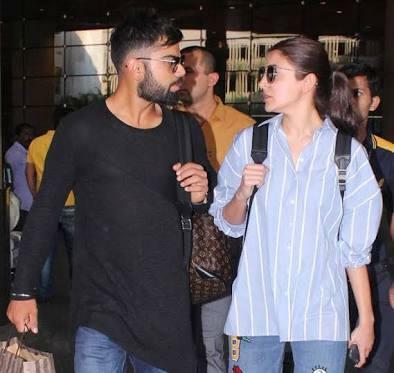 Each time when Virat came out in support of his girl or displayed affection publicly, and even became protective about her, we knew there was love brewing between them. It’s like he is saying I cannot look at you without a smile for you bring nothing but happiness to me.